A podcast about board games, the community, and all the lovely lovely bits. Join Shaun and Michelle as they discuss all sorts of things in the board game world, spotlight parts of the wonderful board game community, and marvel over the best components hobby boardgamdom has to offer! Tweet us @allthebitspod Email us at allthebitspodcast@gmail.com. 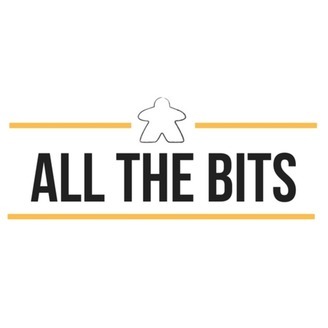 Welcome to Episode 32 of All The Bits wherein we discuss our recent plays of Everdell, Terraforming Mars: Colonies, Underwater Cities, and Villainous. We marvel at the bits from Victorian Masterminds and Forbidden Sky, and look at the BGG thread "You know you're a board gamer if...". In our Next Up bit, we look to the future and to Pax Unplugged. All this, and the usual game guessing, question asking, and nonsense of All The Bits! A big thank you to our show sponser, Board Game Bliss (www.boardgamebliss.com). A store where you can find an amazing selection of games from around the world! Bringing joy to you and your love ones! 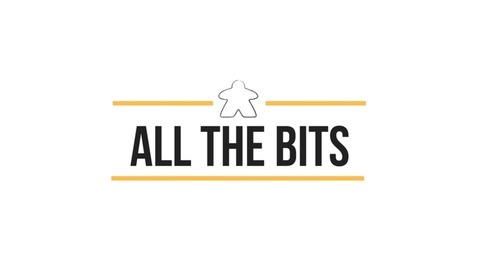 * Visit our brand new website: www.allthebitspod.com Like us and follow us on Facebook - https://www.facebook.com/allthebitspod/ Tweet us: @allthebitspod Follow us on Instagram: @allthebitspod Email us: allthebitspodcast@gmail.com Leave us an itunes review: https://itunes.apple.com/us/podcast/all-the-bits-board-game-podcast/id1254767438?mt=2 Time Stamps 2.05 – Ask Me Anything bit 8.20 - Guess the Game bit 15.00 - Roar: King of the Pride give-awawy! Social media your picks for the new bit name to #allthebitsbitname. This give-away is available to residents of North America. 16.42 - What we've been playing Shaun: Terraforming Mars: Colonies, Villainous Michelle: Everdell, Underwater Cities 49.30 - BGG Thread Spotlight: You know you're a board gamer if.... 54.20 - All The Bits bit Shaun: Forbidden Sky Michelle: Victorian Masterminds 59.40 - Next Up Bit Narabi, Spell Smashers, Chai, and PAX Unplugged!